Then, I selected "Launch HUE" and "Launch MCS", but got some error and fixed. Finally, I could use HUE and MCS. 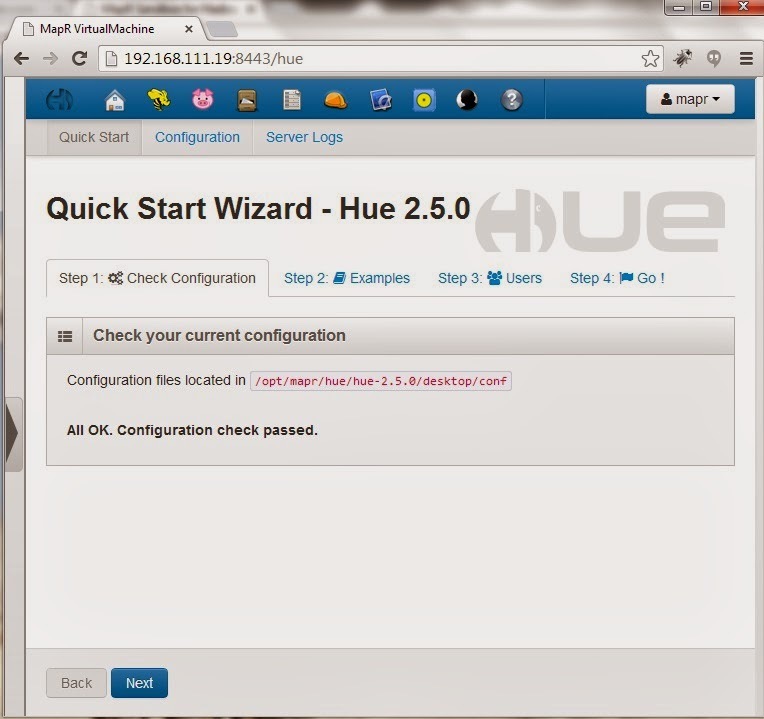 Hue is an interface for interacting with web applications that access the MapR File System (MapR-FS). Use the applications in HUE to access MapR-FS, work with tables, run Hive queries, MapReduce jobs, and Oozie workflows. 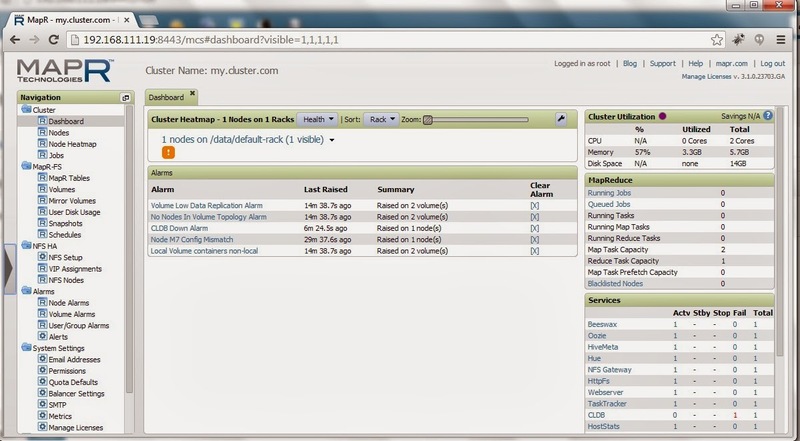 The MapR Control System (MCS) is a graphical, programmatic control panel for cluster administration that provides complete cluster monitoring functionality and most of the functionality of the command line. After reviewing MapR Sandbox for VirtualBox, "maprdev" account is development account that can sudo to be root. 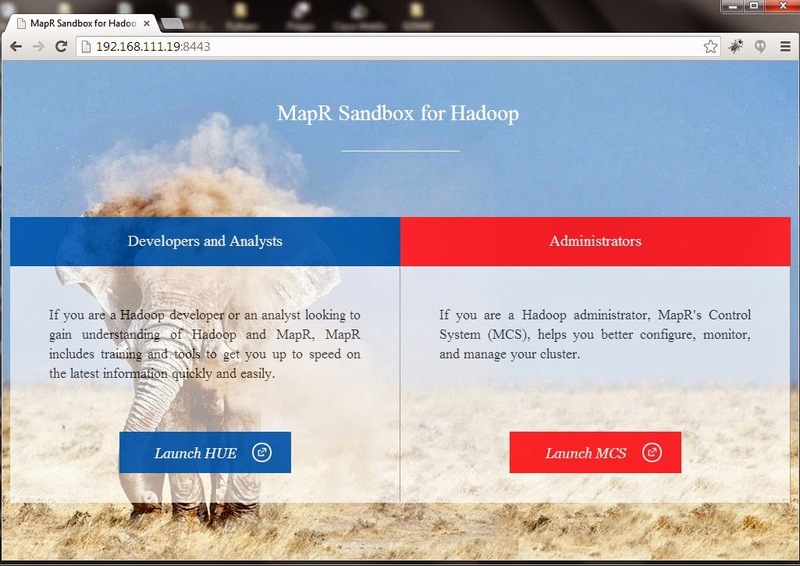 Welcome to your Mapr Demo virtual machine.